Files with da6 extension are used by Star Trek Generations computer game as a save game file format. What is da6 file? How to open da6 files? The da6 file extension is associated with the computer game Star Trek Generations, this game was developed by Microprose studio. The game is a first person shooter with many adventure and strategy elements based on same-named movie. The da6 extension file format is used as a save game file. 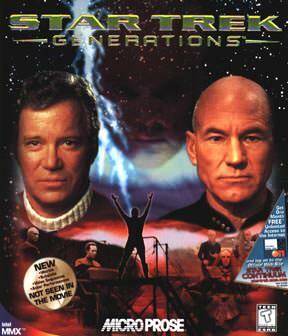 Star Trek Generations is a adventure first person shooter with adventure game, based on Star Trek: Generations movie. It was developed by Microprose and released in 1997. Files with da6 extension are meant to be regurarly opened as it is a backup file for saved games used by the Star Trek Generations computer game. It is not possible to convert files with da6 extension. and possible program actions that can be done with the file: like open da6 file, edit da6 file, convert da6 file, view da6 file, play da6 file etc. (if exist software for corresponding action in File-Extensions.org's database). Programs supporting the exension da6 on the main platforms Windows, Mac, Linux or mobile. Click on the link to get more information about Star Trek Generations for backup da6 file action.